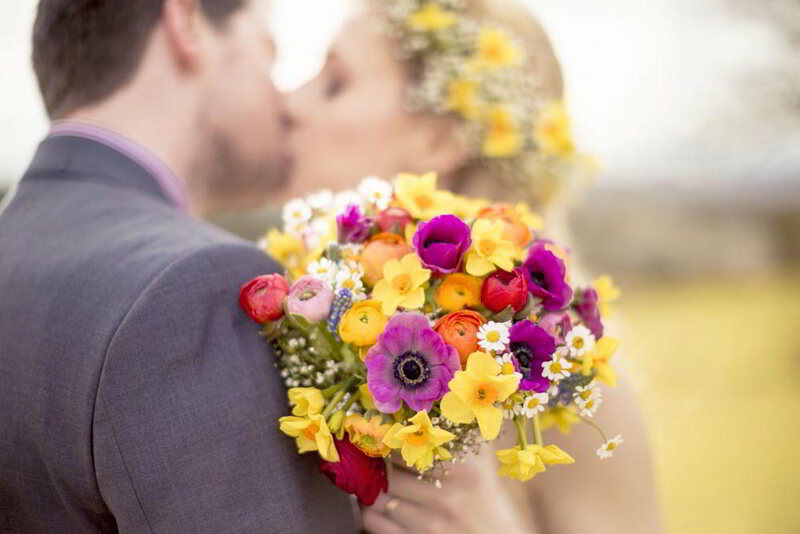 Spring Wedding Flowers: Sweet scented Narcissi & baby’s breath floral crown. 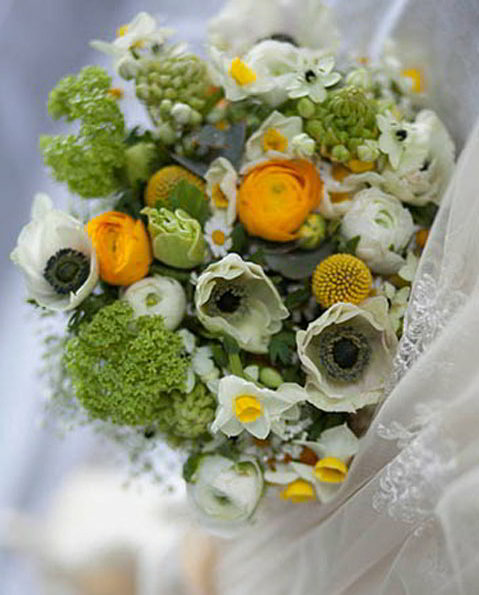 A wild posy of anemones, ranunculus and narcissi at Folly Farm. 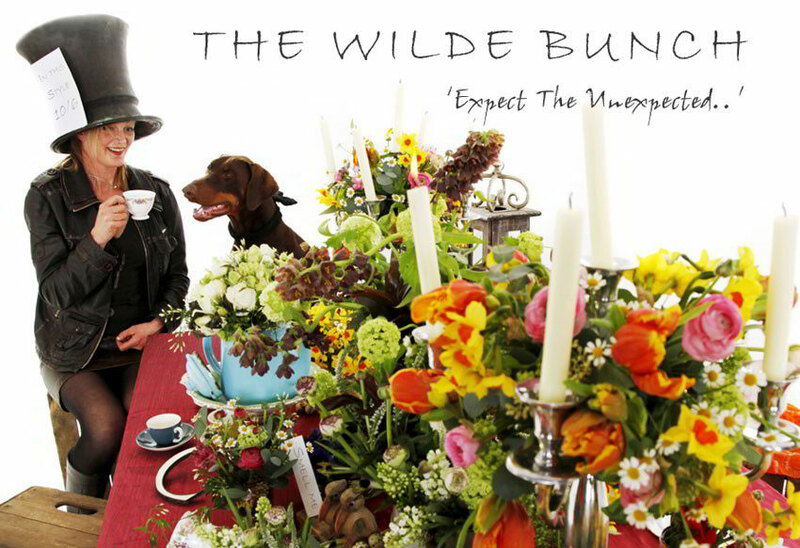 Go wild for woodland inspired weddings, mossy wooden logs bursting with paper white narcissi, hellebores & incredible ‘snakes head’ fritillary. 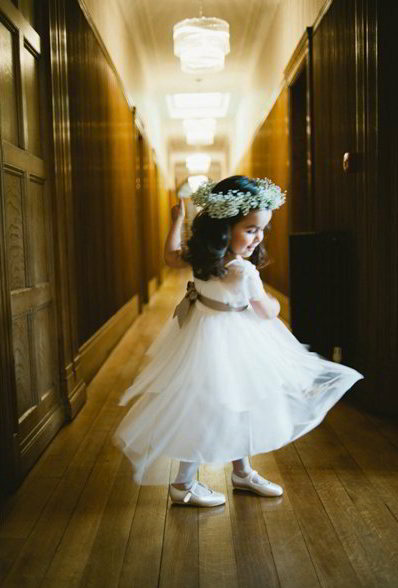 The season of tender new beginnings. Ring of wild garlic & Queen Anne’s lace. Sweet scented, nodding heads of Lily of the Valley, the jewel of Spring wedding flowers will shine through any April showers. 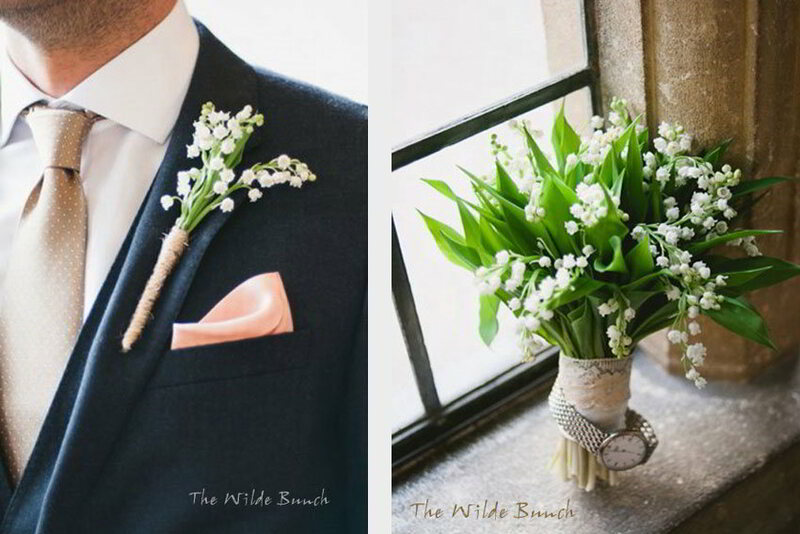 Bridesmaid’s posies of Lily of the Valley and Lacy Dill. 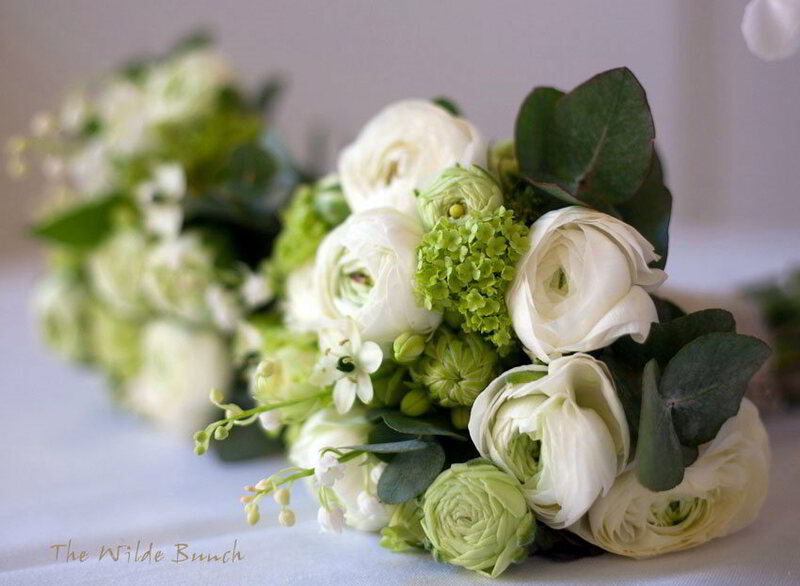 Mixed with White Ranunculus and mint green Guelder roses. 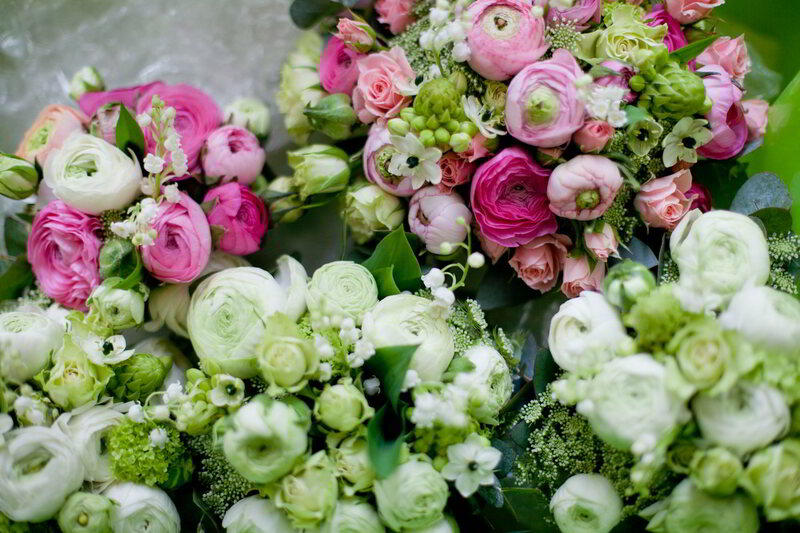 Pretty in Pink : Bridal Flowers featuring Pale Pink Ranunculus. 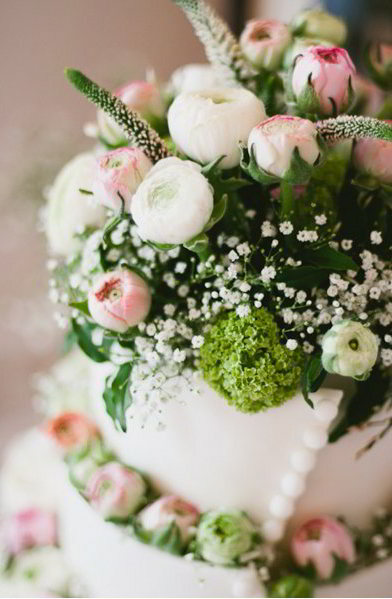 So sweet : Cake adorned with Ranunculus & Baby’s Breath. 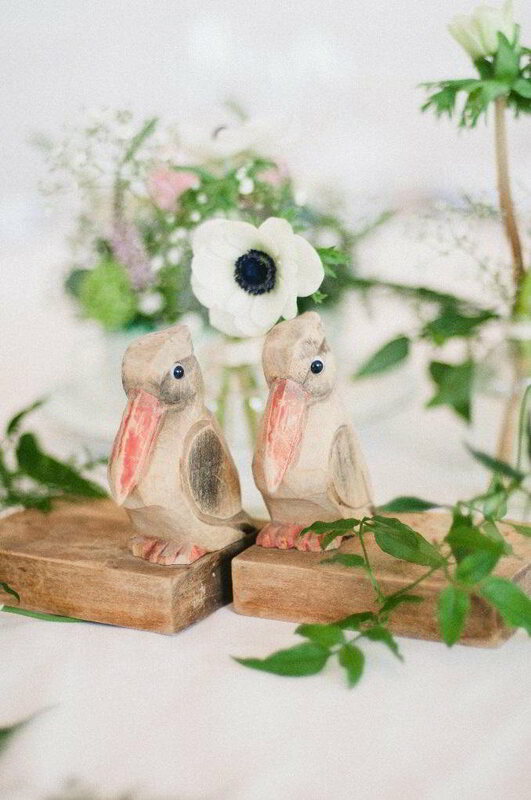 So Tweet : wooden book ends at a Coombe Lodge Wedding. 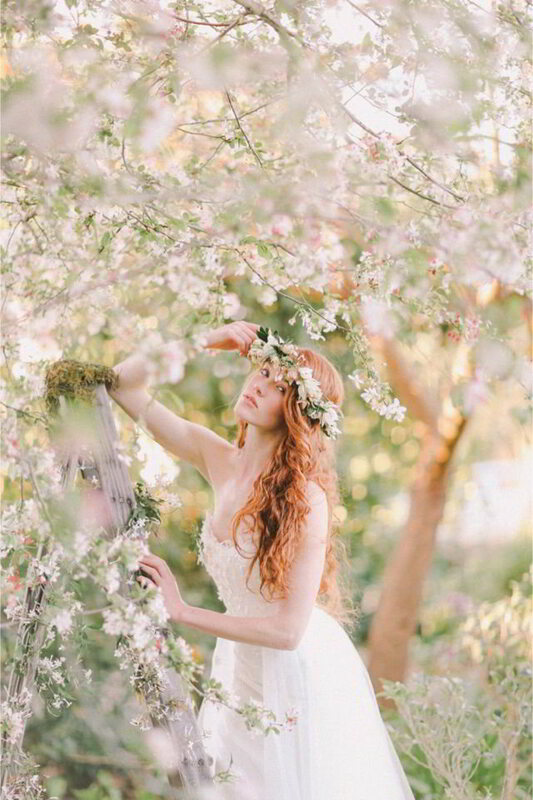 An abundance of cherry, apple & peach blossom shower petals like Nature’s own confetti. 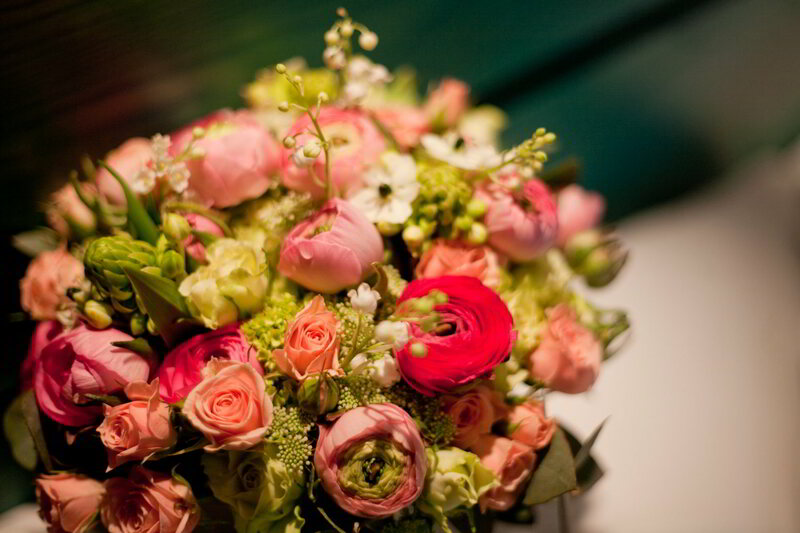 En Vogue this year are tones of peach, pink, coral & mint.